Digital advertising can be a annoying. It’s distracting and clutters what otherwise could be a perfectly good website or mobile app. That’s why so many people are willing to ante up and pay a bit more for a service if they can get the ad-free version. But what if you knew the ads you saw on the bottom of your phone’s screen, or at the side of a website meant money was going to reputable charities? We’ve found a few ways you can get money donated to good causes just by doing things you’d normally do anyway. There’s a good chance you’re already uploading photos to social media networks, so why not contribute to charities just for doing it? 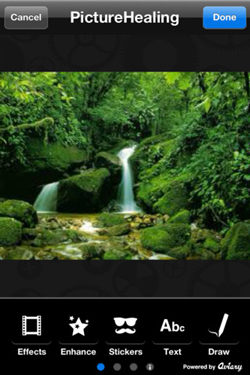 With Picture Healing (free on iTunes), you can if you have an iPhone. It’s much like Instagram or Facebook’s Camera app in that you can take photos and apply filters, add stickers and text, as well as draw on them. Once your creation is complete you can upload it to Facebook, Twitter, Foursquare, Flickr and Tumblr with the option to include a geotag if you want people to know where you snapped it. And what’s cool is you can configure the app to upload to all those networks simultaneously. The biggest difference between PictureHealing and Instagram or Camera is it shows you a small ad on the bottom of your phone’s screen and that’s one way the developer makes money. Other methods are sponsorships, events, photo printing and add-ons. PictureHealing donates 50 percent of all proceeds generated to the charities within its network. They range from animal rights to the environment to breast cancer and you can choose up to three charities to support. The app is free at the Apple App Store. You use this search engine the same way you’d use any other; in fact it’s powered by Yahoo. 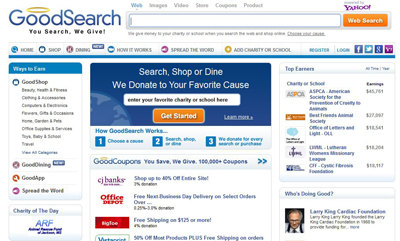 The only difference is GoodSearch donates half its sponsored search revenue to the charities and schools chosen by users. 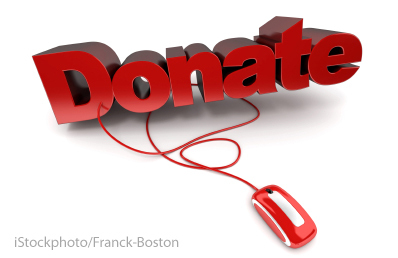 More than 106,000 non-profits are included in the GoodSearch network and if the school or organization you would like to help isn’t in there, there is a form on the site to add it. Within the GoodSearch family of products is also GoodShop, an online shopping mall that includes big name merchants such as Macys, Nike and Nordstrom. Whenever you use the GoodShop mall and buy something a donation anywhere from 3% to 20% of the purchase price goes to the charity or school you’ve chosen. It also includes GoodDining, a “dine out for charity program” which works at 10,000 restaurants across the U.S.
Penny auction sites make users pay a small non-refundable fee for every bid they make on an item with the idea that whoever wins the auction supposedly pays less than retail for it. Many of these sites aren’t reputable and people end up getting ripped off. And some people consider them to be gambling sites because a user may or may not win but has to pay anyway. For these reasons, Techlicious wouldn’t normally recommend such a site, but Annie'sBid and Last Clck are different in that each auction is set up to make a contribution to a particular cause or charity. How much is donated varies on the auction sponsor, in the case of Last Clck, and per auction for Annie'sBid. 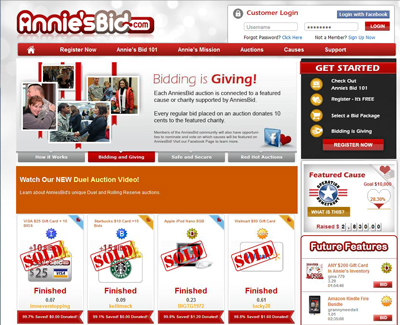 At the end of each Annie'sBid auction, you can check to see how much has been donated to charity. So if you’re looking for interesting ways to give to charity Annie'sBid or Last Clck might be an option. Before doing so, however, check out our story about penny auctions in general and what to watch out for.